As a value-added reseller (VAR) of point of sale (POS) technology, you understand that for your customers there is no one-size-fits-all solution. Each retail vertical has unique needs, and the only way to ensure a successful working relationship is to demonstrate a deep understanding of and appreciation for your client’s needs. Here are four crucial points to remember when selling to small businesses. Small business owners don’t have the kind of financial freedom those black-card wielding CEOs possess, and if they make any new purchases beyond what they’ve budgeted for, it’s likely that the added expense will come out of the owner’s take-home pay. When selling to small businesses, keep this in mind so that you can justify how a solution can pay off in the long run. For retailers contemplating a new product or service, outlining a compelling story goes a long way in convincing them that what you are offering provides the best value. In order to build a compelling case, your focus needs to be on the customer rather than the sale. Let them know that you understand their pain points, and share stories of clients who had the same concerns, but decided to use your product or service and found great success. When selling to small businesses, remember that not all of your conversations need to be focused around the product. In fact, it’s important to make sure you spend as much, if not more time learning about the customer than you do talking about your products and services. Make it a top priority to learn what questions your prospect has about your solution, so that you can effectively demonstrate your advantages. The more you know about your customer, the more credible you will be with your prospect. 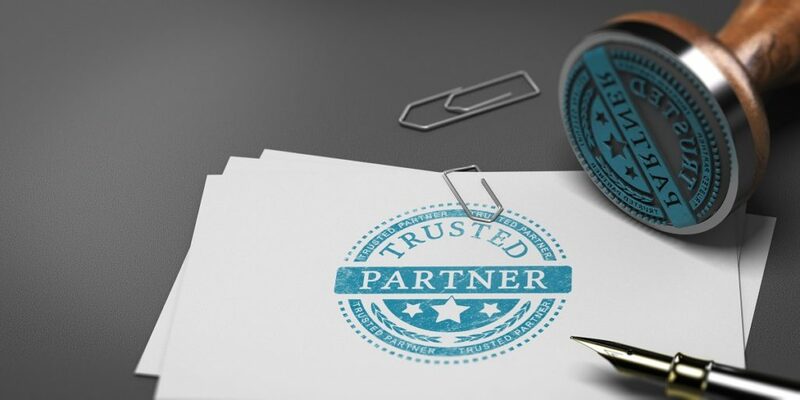 Building trust with clients is a key component of selling to small businesses. They need to know they can depend on your insight and expertise. Taking time to build this trust can send a powerful message that you are willing to go above and beyond what your competitors do. Your sales and marketing departments are two sides of the same coin, and should be on the same page. You can’t work as a cohesive group without aligning your objectives. If your sales team discovers pain points or obstacles when selling to small businesses, marketing should create content that addresses those issues and assists sales. Similarly, retailers understand that to grow their business, they need tools to help sell and market to both new prospects and loyal customers. However, retailer managers have limited time to spend on customer communications. Offering technology that streamlines the process of developing and retaining customers, cross-selling, and up-selling will help you win more business when selling to small businesses. As a value-added reseller, your clients take your title seriously. They expect you to add the kind of value they need. Because of this, it’s important for you to become more than a sales rep, but a resource. They’ll need your expert advice in addition to the products and services you offer. Since retailers have various needs, make sure your line card has a number of different products that can address those needs; otherwise they might look to your competitors to solve problems you can’t. Demonstrating your professionalism and commitment to helping retailers grow their business, along with building a rapport with your prospects is half the battle to success when selling to small businesses. The other half is making sure you offer the right software with the features and affordability retailers are looking for. 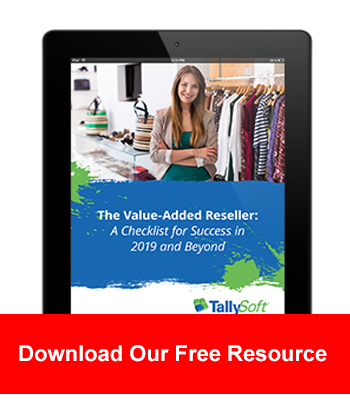 TallySales POS and Retail Management System for general retail, as well as niche markets, can help your prospects grow business and enhance the customer experience. Learn more about our dealer program.